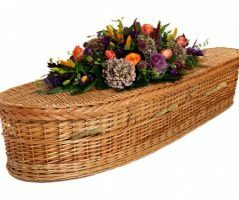 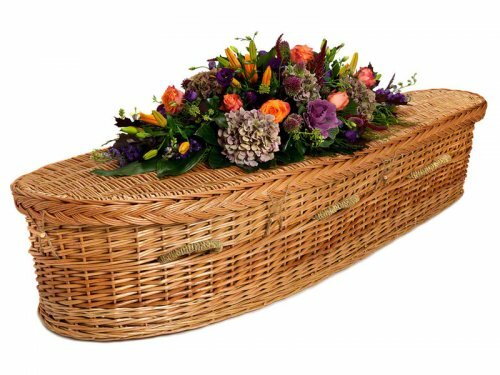 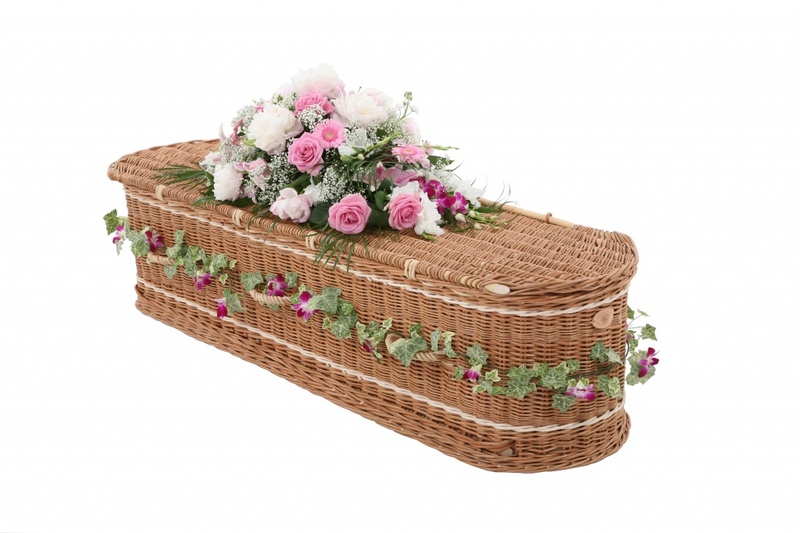 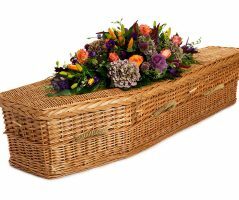 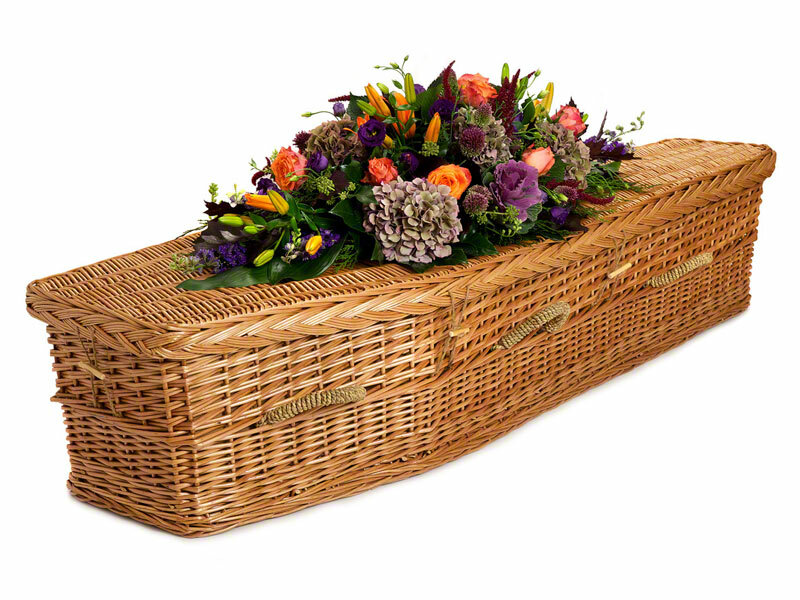 These coffins are increasing in popularity as an alternative to the more traditional wooden version. 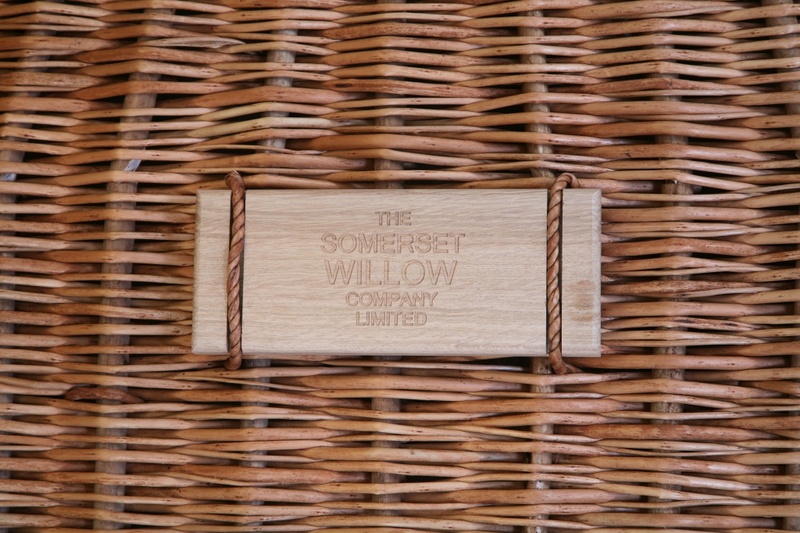 Wicker simply means woven and, in this case, woven in willow. 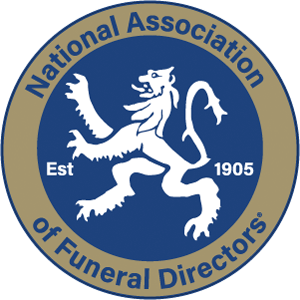 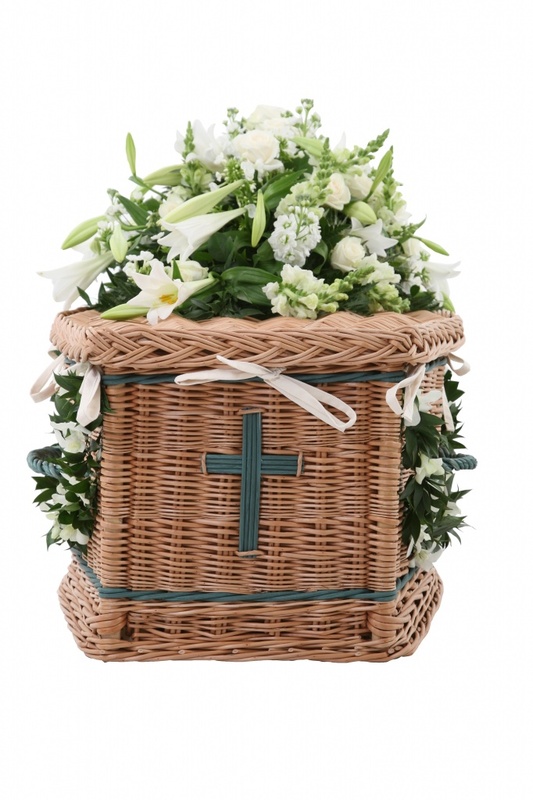 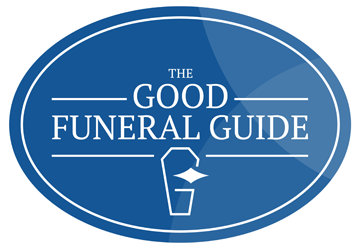 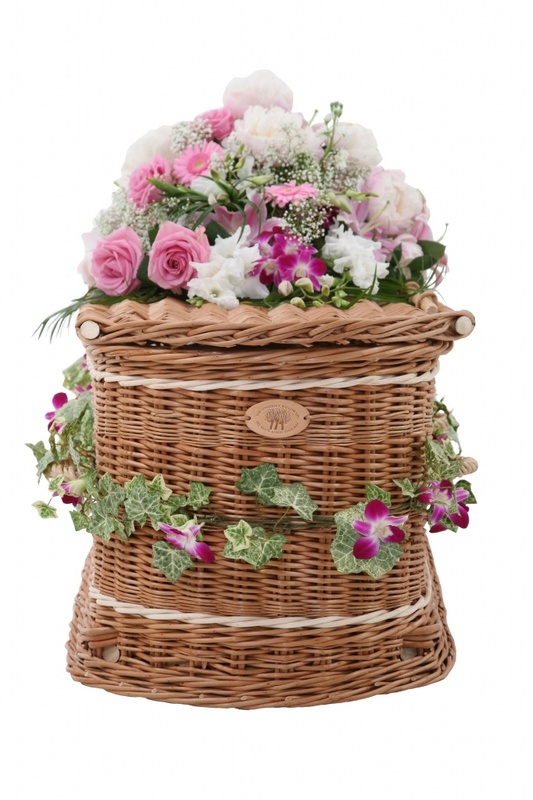 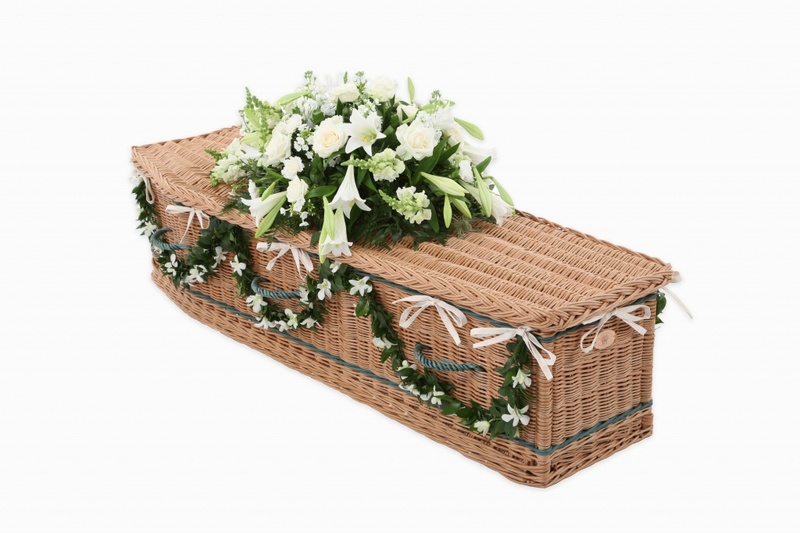 The coffins are supplied in the traditional shape or with rounded ends. 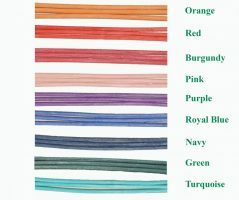 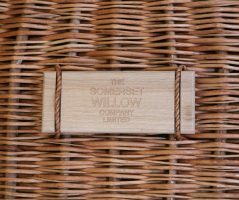 They are all hand woven and are 100% biodegradable as all the fittings are made from natural products. 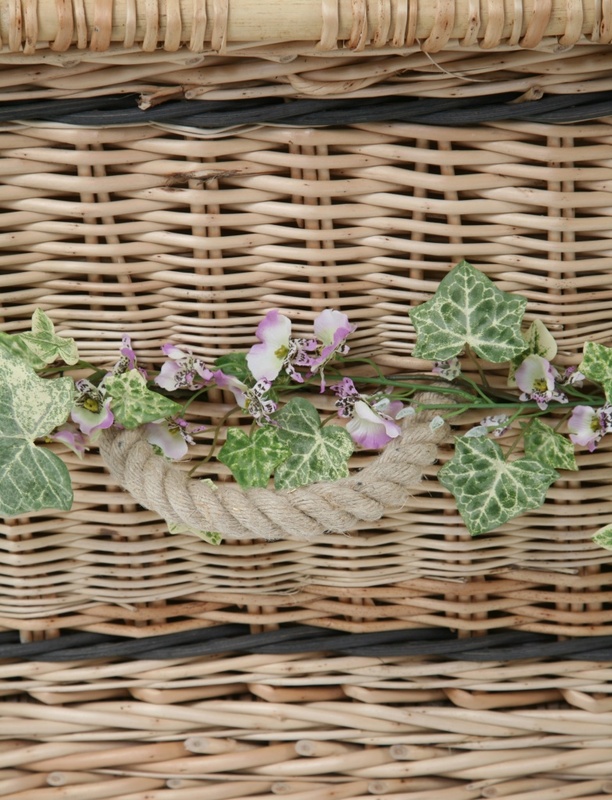 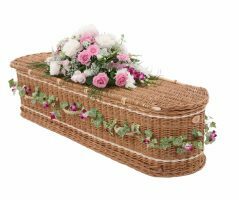 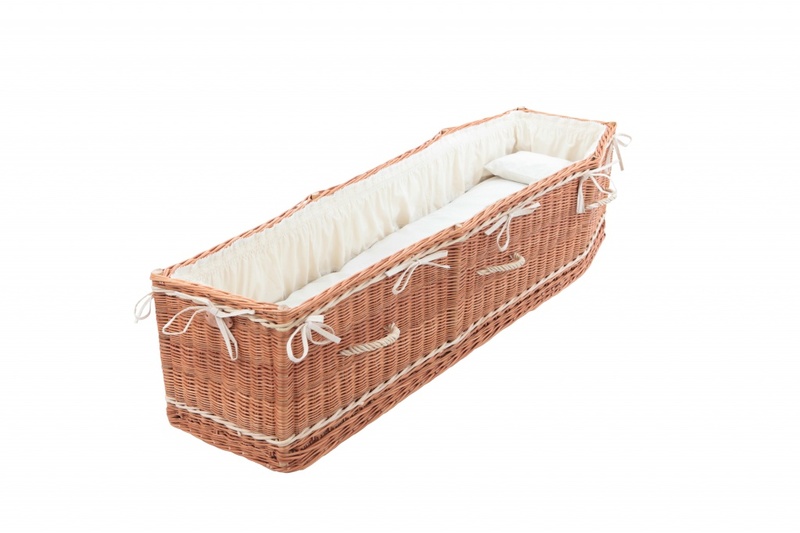 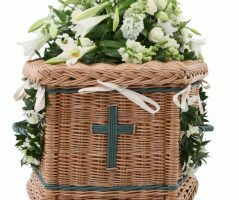 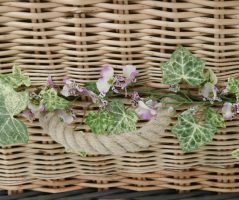 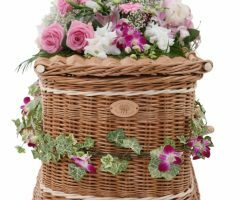 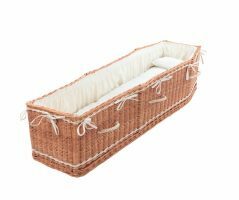 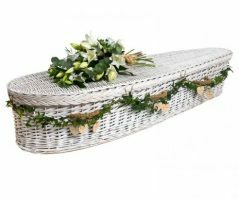 Hand woven by 4th generation basket weavers in Somerset, these coffins are made from buff willow, have natural hemp rope handles and come complete with interior frill, mattress, a pillow filled with natural hay and a personalised oak name plate. 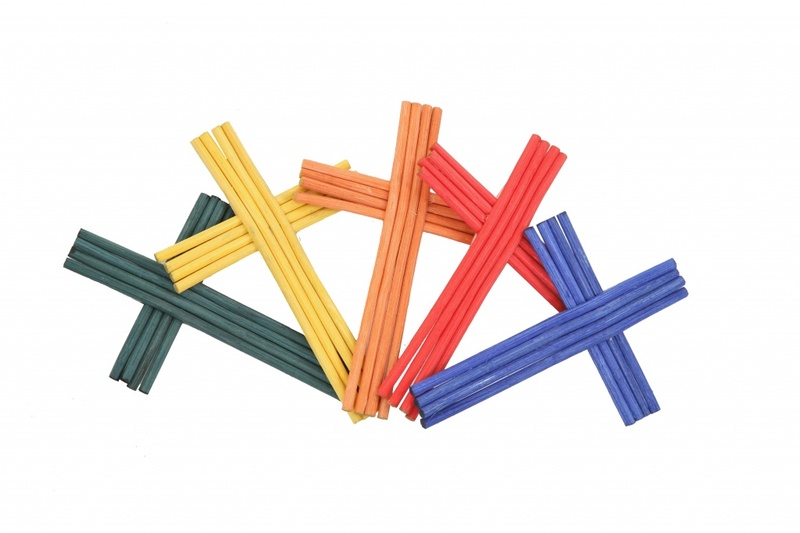 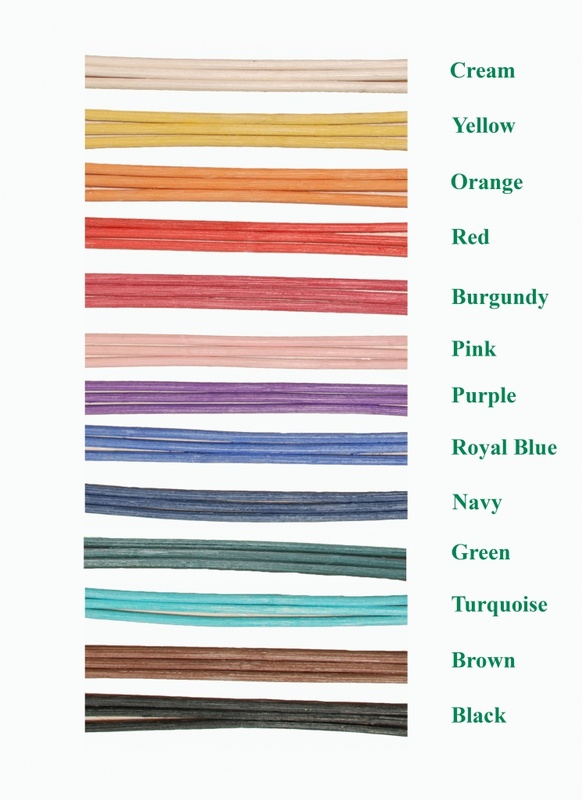 There is also an option to have different coloured bands and handles. 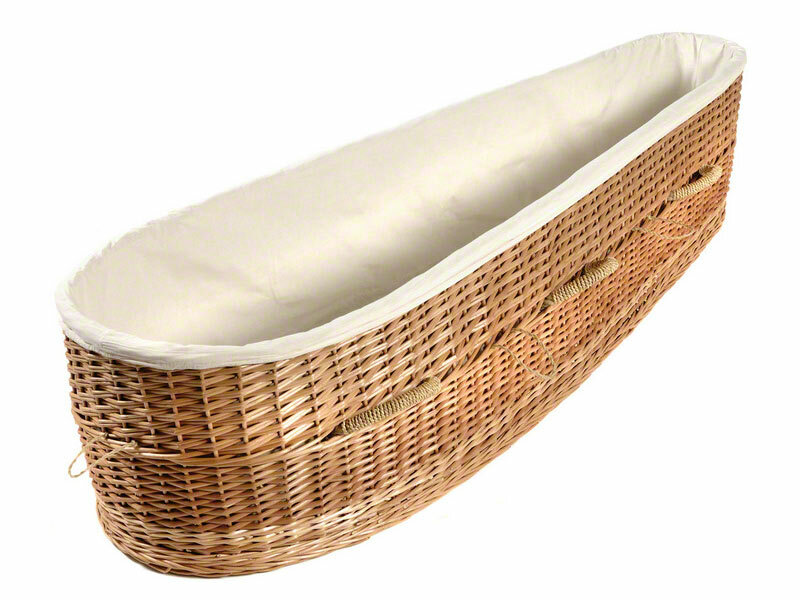 Hand woven using natural wicker willow with rope and seagrass handles and unbleached calico linings. 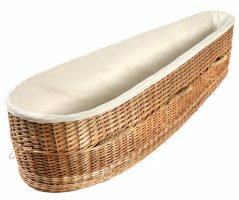 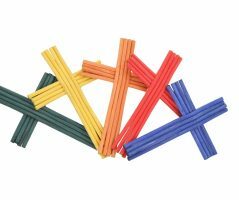 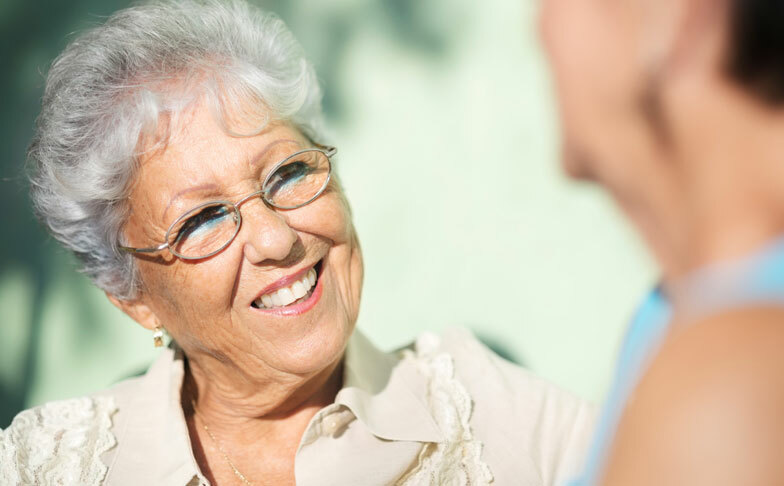 Toggles are used to fasten the lid and this together with the integral base of solid plywood makes the coffin secure and suitable for burial or cremation. 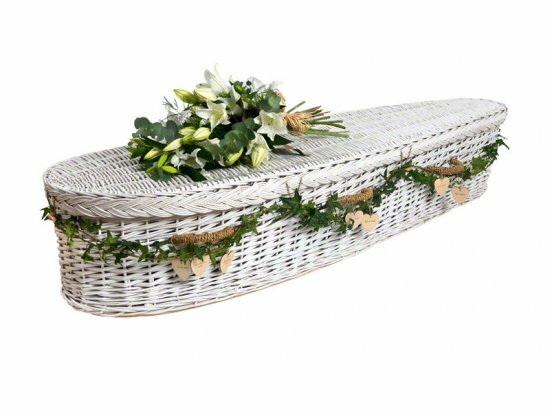 All tribute coffins come with a personalised bamboo name plate. 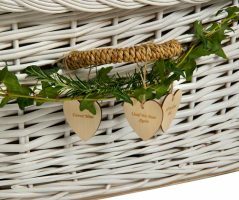 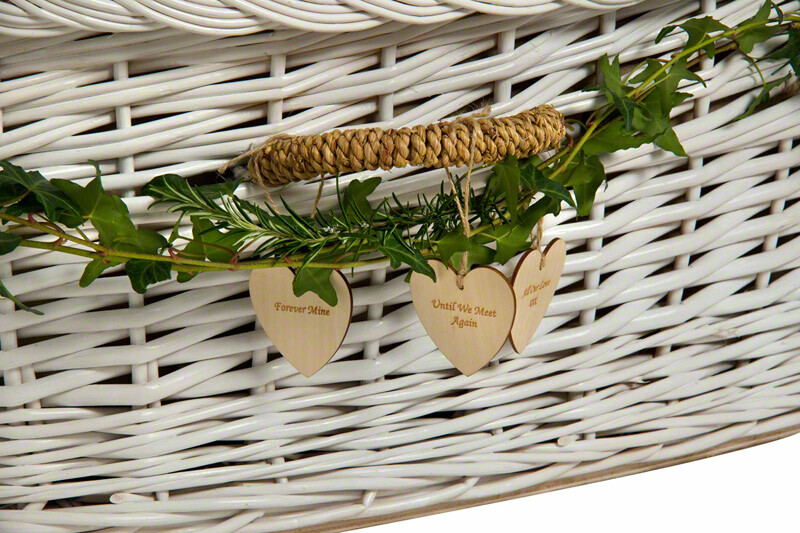 Heart message tags can also be attached to handles and are a lovely way to add a farewell message to a coffin or casket. 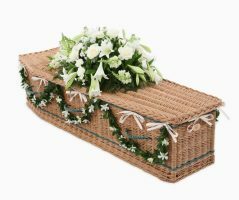 Please visit http://tributes.ltd.uk/category/a_coffins/ to find out more information about the Tribute coffins.